'Infect Them All' is a game that can make zombie world by infecting and eating people. 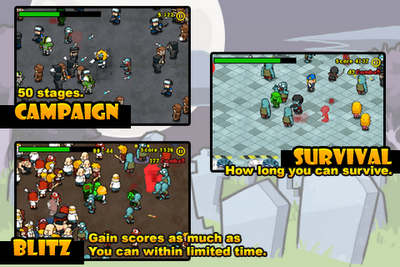 You can enjoy this game with easy and simple controls. 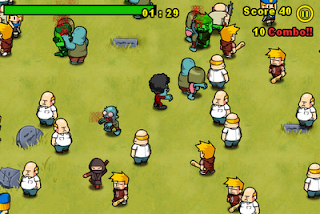 - You can team up with tens of your zombies in a melee. - Blitz mode, in which you have to gain scores as much as you can within limited time. Infect Them All : 내가 만약 좀비라면?! 색다른 시각이 즐거운 게임. Turn the Tables and be a Zombie! Infect Them All : prêt à bouffer de l’humain ? Infect Them All Review: You Gotta Eat. More. Brainz. Infect Them All In Review - Taking Out Humans One Bite At A Time! 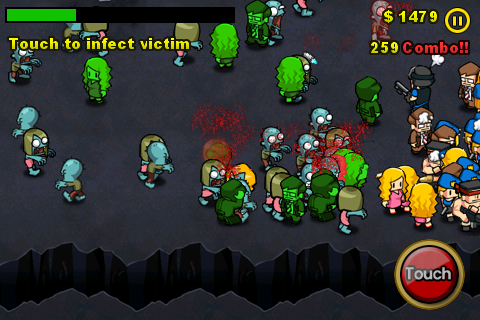 Infect Them All for iPhone and iPod Touch - AWESOME ZOMBIE TYPE GAME!